This is roughly the or 25th or 26th stand alone physical album from Graney and Moore. Not counting compilations (three), film soundtrack albums (two) and digital only albums (five). All the digital tracks from the last twelve months remastered for CD release. Sequenced in the exact order they appeared for digital download. Available at all these forthcoming shows and at a few select shops. 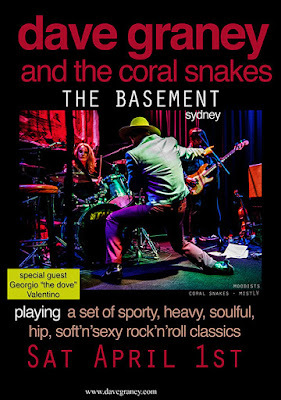 Dave Graney and Clare Moore NSW dates w/ special guests from Brussels/Miami Georgio "the Dove" Valentino and Patrizia F.
Photos Gallery from Recent Adelaide Festival show by Dave Graney and the Coral Snakes. 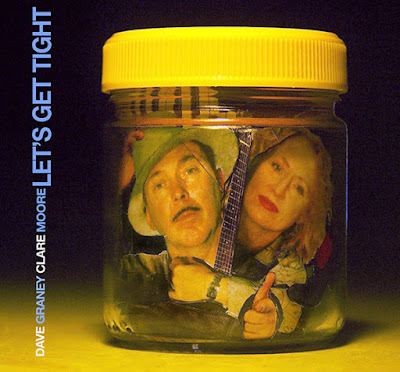 Podcast interview at Double J Caroline Tran talks to Dave Graney about a favourite track. He chose Television's Little Johnny Jewel. Photo Gallery from a recent packed out show by Dave Graney and the Coral Snakes in the Grand Hall of the National Gallery of Victoria.